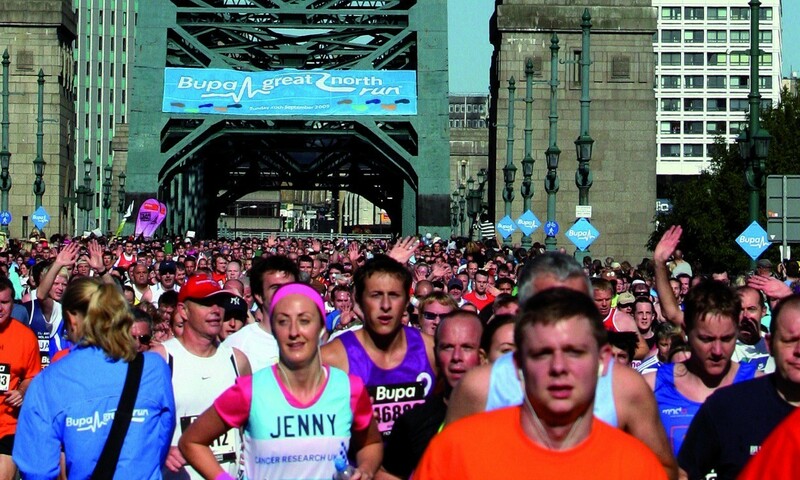 Whether you are from the select minority that make up the elite field, the sizeable number of club runners or the vast majority of those who are just running to get from A to B, there are many things which can help to make your Great North Run even better and some things that could spell disaster. With the big event now this weekend, nothing you do will make you any fitter, but there is much that can be done to threaten your run! In terms of training, it is all about easing down to some short, easy runs or even complete rest. You need your body refreshed and full of energy for the 13.1-mile journey from Newcastle down to the coast at South Shields. If you are one of the thousands who have come to make a weekend of it by staying in a hotel, your downtime should be used wisely. Traipsing around the city centre shops or the local mall will tire your legs as much as your training. Alcohol and running do not go together and although you may feel like you are quenching your thirst with a pint of The Toon’s best, you will in fact be dehydrating yourself if you have more than you should. Importantly, go to bed when you are tired – it is far better to get five hours of sound uninterrupted sleep than eight hours of tossing and turning. Athletes are diverse, so what to do before the race presents different aspects for each category of runner. For the masses some jogging on the spot and stretching will be the order of the day and the first few miles will be their warm-up. Remember too, when the gun fires to signal the start at 9.30am, those in the middle to back of the masses will not start jogging until the actual start line where their chip timer will begin recording. Those at the very back have around 1km to cover before they even reach the start line! The race is done and dusted, so what next? For the elite and club runners it may be a one or two-week break before commencing their winter training. If you are not having a rest then an easy week of running is recommended and for the twice-a-day brigade that means running easily over much shorter distances for a whole week.